For the Greek far-left paramilitary group, see Revolutionary Nuclei. The Armed Revolutionary Nuclei (Italian: Nuclei Armati Rivoluzionari), abbreviated NAR, was an Italian neofascist militant organization active during the Years of Lead from 1977 to November 1981. It committed 33 murders in four years, and had planned to assassinate Francesco Cossiga, Gianfranco Fini and Adolfo Urso. The group maintained close links with the Banda della Magliana, a Rome-based criminal organization, which provided such logistical support as lodging, false papers, weapons, and bombs to the NAR. In November 1981, it was discovered that the NAR hid weapons in the basements of the Health Ministry. The first trial against them sentenced 53 persons on 2 May 1985 on charges of terrorist activities. The late seventies were a time of political violence in the form of bombings, assassinations, and street warfare between rival militant factions. Young neo-fascists saw the state-sanctioned far-right political party MSI as betraying them, though inaction in the face of attacks by political opponents and the police, such as Acca Larentia killings Influenced by leftist movements, a large group of far right youths, including Fioravanti and his close associates, moved from street-fighting to terrorism. Unlike their left-wing counterparts, they emphasised personal qualities like spontaneity and willingness to fight, even in a lost cause, over political objectives. Fioravanti has said, "About defeat we never cared, we are a generation of losers, always on the side of the defeated." The NAR were directed by former RAI child actor, Valerio Fioravanti, his brother Cristiano Fioravanti, Dario Pedretti, Francesca Mambro and Alessandro Alibrandi, who were previous militants of the Movimento Sociale Italiano (MSI). Other important members included: Luigi Ciavardini, Gilberto Cavallini, Stefano Soderini, Franco Anselmi, Giorgio Vale, Massimo Carminati, Claudio Bracci, Stefano Bracci, Mario Corsi detto "Marione" (Big Mario), Stefano Tiraboschi, Lino Lai, Paolo Pizzonia, Patrizio Trochei, Walter Sordi, Marco Mario Massimi, Pasquale Belsito, Fiorenzo Trincanato, Andrea Vian. In 1980, NAR member Giorgio Vale became the leader of Terza Posizione, which was used as a front for the NAR. NAR members Valerio Fioravanti and Francesca Mambro have been sentenced as responsible for the 1980 bombing of the Bologna main train station which killed 85 people. Three days after that bombing Fioravanti and Mambro robbed an arms dealer in Rome. On 25 November 1981, Italian authorities discovered a weapons cache in the basements of the Health Ministry. According to the Magliana pentito, Maurizio Abbatino, NAR member Massimo Carminati was the only one who could freely access the weapons cache. Massimo Carminati not only held close links with the Banda della Magliana, but also with SISMI secret agents, in particular General Pietro Musumeci and colonel Giuseppe Belmonte, a member of the Propaganda Due Masonic lodge. On 23 June 1980, NAR members Gilberto Cavallini and Luigi Ciavardini (who was later sentenced to a 30-year prison term in 2007 for his role in the 1980 Bologna bombings) assassinated magistrate Mario Amato. 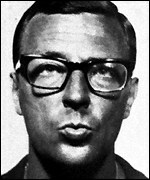 Amato had been made responsible for investigations into the radical right in Italy after the assassination of judge Vittorio Occorsio on 10 July 1976. The two NAR members were also responsible for the earlier slaying of Francesco Evangelista on 28 May 1980. ^ Andrea Colombo, Storia Nera, Cairo, 2007, ISBN 88-6052-091-6. Tassinari, Ugo Maria (2008). Fascisteria. Sperling & Kupfer. ISBN 88-200-4449-8. Combs, Cindy C.; Slann, Martin W. (2009). Encyclopedia of Terrorism, Revised Edition. Infobase Publishing. p. 21. ISBN 978-1-4381-1019-6. Nash, Jay Robert (1998). Terrorism in the 20th Century: A Narrative Encyclopedia From the Anarchists, through the Weathermen, to the Unabomber. M. Evans. p. 374. ISBN 978-1-4617-4769-7. Francesco Cossiga was an Italian politician, member of the Christian Democracy. He served as the 42nd Prime Minister of Italy from 1979 to 1980 and the 8th President of Italy from 1985 to 1992. Cossiga is widely considered one of the most prominent and influential politicians of the so-called First Republic. He has been often described as a strongman and accused of being an "iron minister", who brutally repressed the public protests. The Third Position was a far-right group founded in Rome in 1978. The TP rejected both capitalism and communism, looking instead to found a political and economic Third Position, with its main influence being Julius Evola. 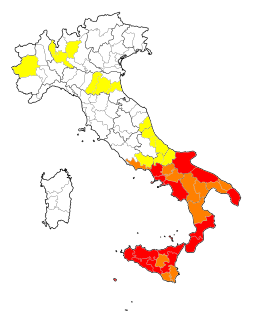 The group became a front for the Nuclei Armati Rivoluzionari (NAR) in 1980. It insisted on tradition, nationalism, anti-parliamentarism and militarism. The Bologna massacre was a terrorist bombing of the Bologna Centrale railway station in Bologna, Italy, on the morning of 2 August 1980 which killed 85 people and wounded over 200. Several members of the neo-fascist terrorist organization Nuclei Armati Rivoluzionari were sentenced for the bombing, although the group denied involvement. Carmine Pecorelli, known as Mino, was an Italian journalist, shot dead in Rome a year after former prime minister Aldo Moro's 1978 kidnapping and subsequent killing. He was described as a "maverick journalist with excellent secret service contacts." According to Pecorelli, Aldo Moro's kidnapping had been organized by a "lucid superpower" and was inspired by the "logic of Yalta". Pecorelli's name was on Licio Gelli's list of Propaganda Due masonic members, discovered in 1980 by the Italian police. In 2002, former prime minister Giulio Andreotti was sentenced, along with Mafia boss Gaetano Badalamenti, to 24 years' imprisonment for Pecorelli's murder. The sentence was thrown out by the Italian Supreme Court in 2003. Giuseppe Valerio "Giusva" Fioravanti is an Italian former terrorist, who, with Francesca Mambro, was a leading figure in a far right terrorist group Nuclei Armati Rivoluzionari. Fioravanti appeared in films and television from a young age, and in his early teens was the most famous child in Italy. He and Mambro were fugitives wanted for terrorist offences by their early twenties, they spent a further period on the run as suspects in the Bologna bombing. Both were captured after gunfights with police. Although Fioravanti, Mambro and a third NAR member were convicted of the bombing, there were those who thought that a higher level of the conspiracy was never uncovered. Fioravanti and Mambro admit carrying out terrorist murders, but have consistently denied any involvement in the Bologna station bomb. Aldo Semerari was an Italian criminologist, psychiatrist and political diplomat of the Sovereign Military Order of Malta. Franco Giuseppucci was one of the founders and bosses of the Banda della Magliana, an Italian criminal organization based in the city of Rome that was particularly active throughout the late 1970s until the early 1990s. Manlio Vitale is an Italian criminal and high ranking member of the Banda della Magliana, an Italian criminal organization based in the city of Rome. He is known as "Er Gnappa", which is Romanesco for "short person". Maurizio Abbatino is a former Italian criminal, one of the original bosses of the Banda della Magliana, an Italian criminal organization based in the city of Rome, particularly active throughout the late 1970s until the early 1990s. He became a pentito, a collaborator with justice after his arrest in 1992. Francesca Mambro is a former leading member of the far-right Italian Armed Revolutionary Nuclei (NAR). She was arrested in Rome in March 1982 for complicity in the Bologna bombing of April 1980. Mambro was tried and found guilty of 96 murders, for which she received a total of nine life sentences equating to over 84 years' imprisonment. Mambro was paroled in 2013 and her sentence expired five years later.